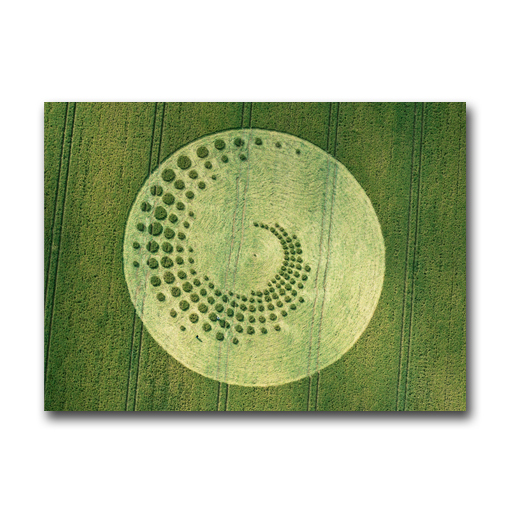 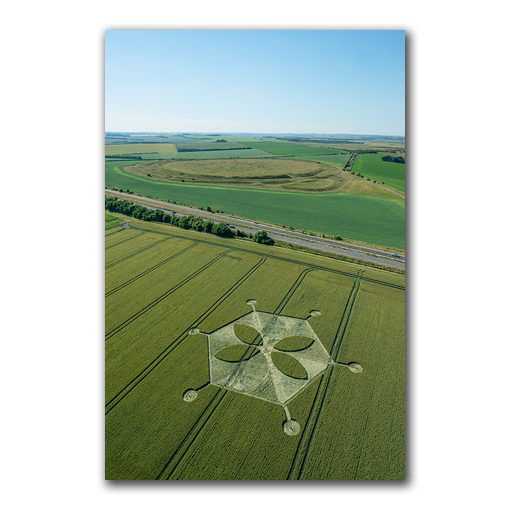 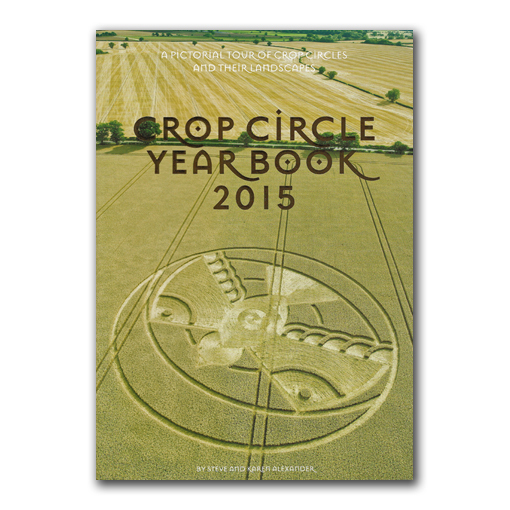 THE CROP CIRCLE YEAR BOOK 2010, is the twelfth in a series of year books by Steve Alexander (photographer) and Karen Alexander (writer) portraying the beautiful and mysterious crop circle phenomenon within the UK. 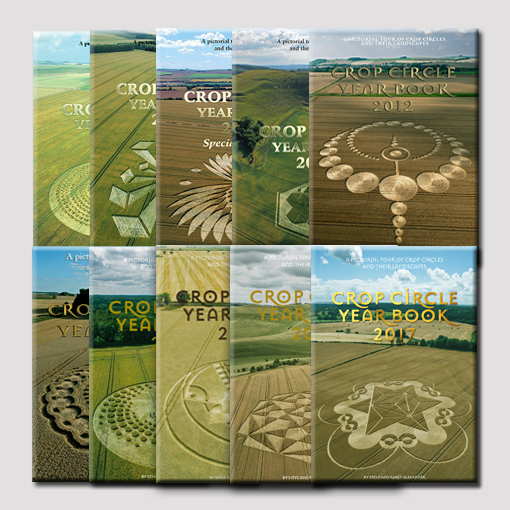 This popular series of full colour, fine-art-reproduction books are privately published in limited numbers and come to you directly from the authors, they have become an invaluable and magical window onto the fields of southern England, and are the only annually published books on the subject. 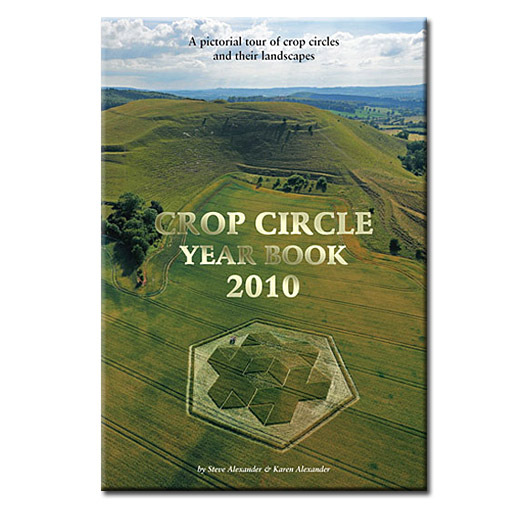 THE CROP CIRCLE YEAR BOOK 2010, is the twelfth in a series of year books by Steve Alexander (photographer) and Karen Alexander (writer) portraying the beautiful and mysterious crop circle phenomenon within the UK. 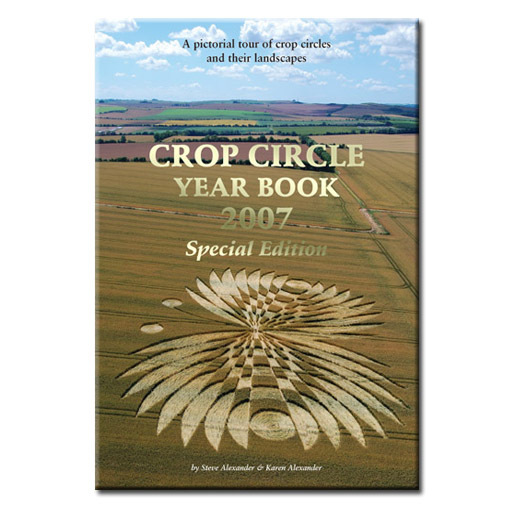 This popular series of full colour, fine-art-reproduction books are privately published in limited numbers and come to you directly from the authors, they have become an invaluable and magical window onto the fields of southern England, and are the only annually published books on the subject. 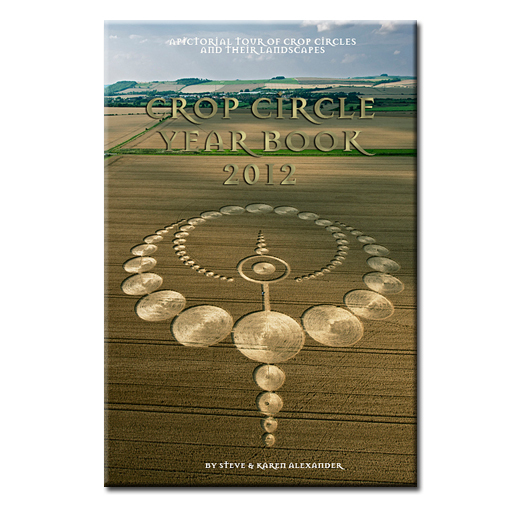 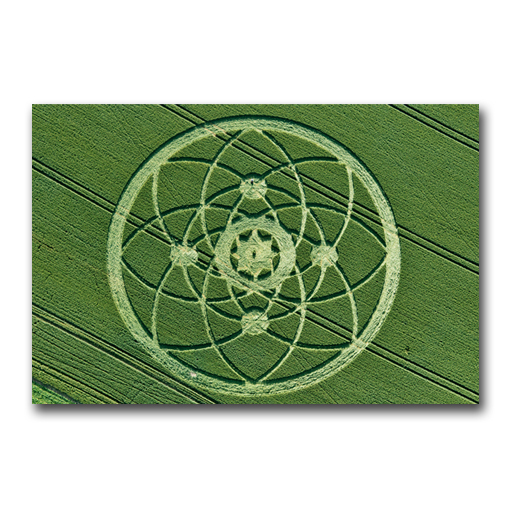 The 2010 crop circle season saw the birth of the 4th dimension into crop circle design. 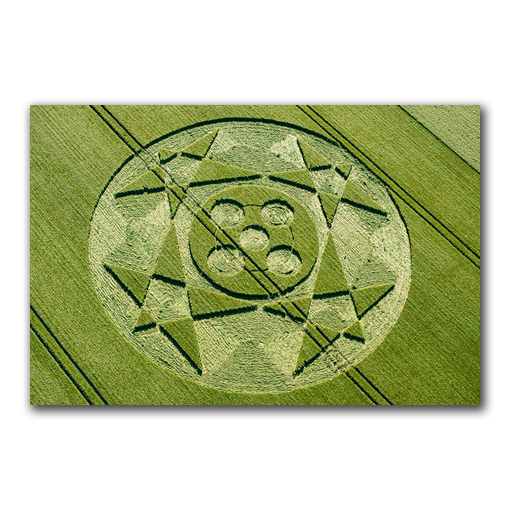 In this incredibly symbolic act the crop circle phenomenon took us to a whole new level of consciousness and began to show us glimpses of other new and strange realities. 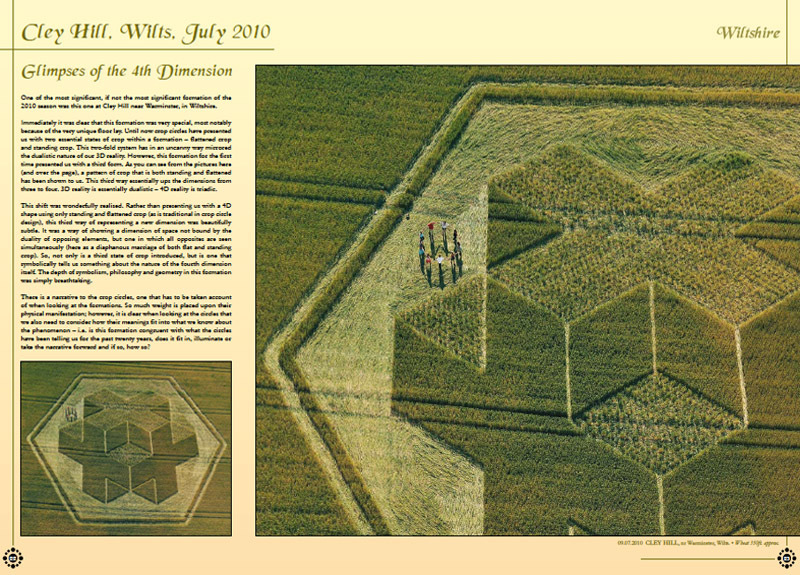 We were taken on a journey through the dimensions with the square, cube, hypercube and tesseract as our guides. 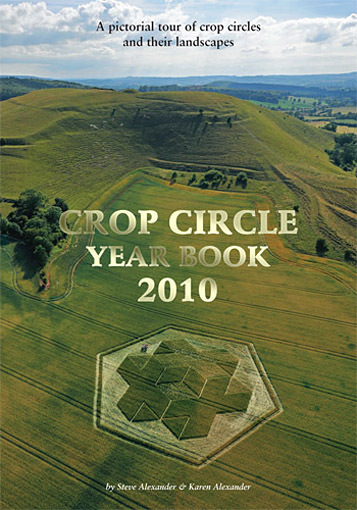 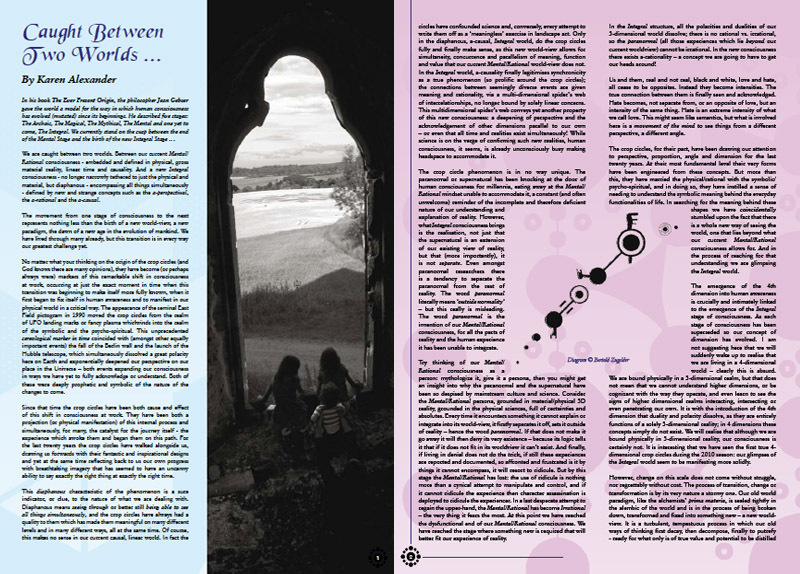 The crop circles of 2010 threw open a shimmering new window onto concepts, geometries and processes that lie beyond our current perception, where we encountered Euler’s Identity, the Golden Section, and Euclid’s second theorem, alongside stars, moons, planets, snowflakes and a terrifying alchemical dragon. 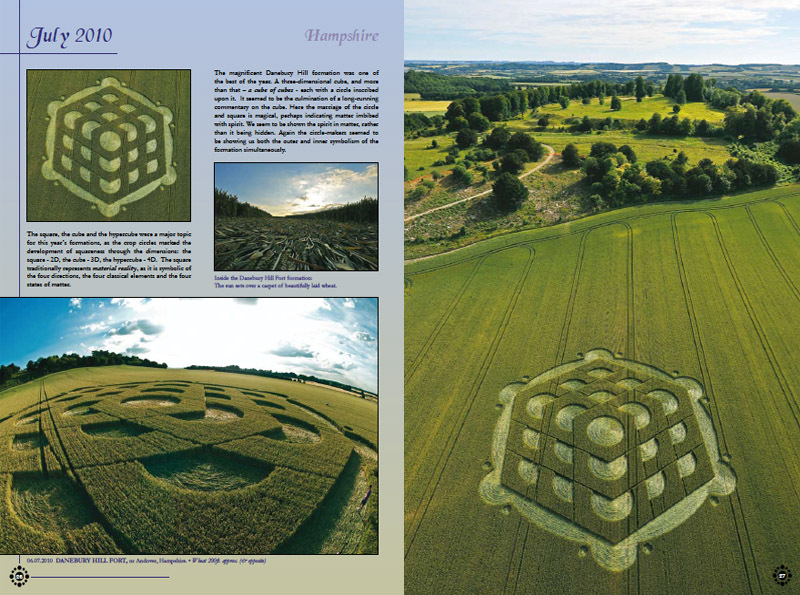 The crop circles are simply one of the most fascinating, edifying and absorbing phenomena currently occurring on planet Earth! 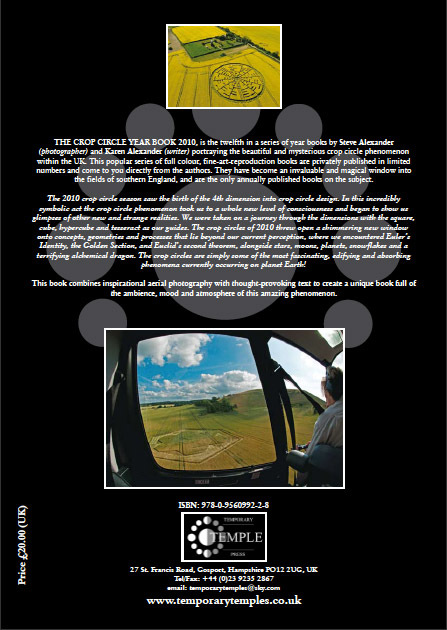 This book combines inspirational aerial photography with though provoking text to create a unique book full of the ambience mood and atmosphere of this amazing phenomenon.